Decaffeinated Coffee: The Best of the Best also comes in Decaf! The Best of the Best also comes in Decaf! Have you ever had a cup of decaffeinated coffee that was so good, you scarcely knew it was 99.9% caffeine free? The best decaf coffee you'll ever taste begins with the finest green arabica coffee beans available anywhere. The quickest way to have the above experience follows along with everything we've learned in this site. The difference is that after our green coffee importer discovers a great bean at the cupping table, A small percentage of the buy is shipped to a decaffeinating plant where it is processed before being sent home to the importers warehouse. 1) Your coffee roaster/retailer must start with the very best quality un-roasted decaffeinated coffee beans obtainable. 2) You must know what your favorite decaf coffees are. 3) It must be purchased fresh roasted AND whole bean from a reputable roasting company. ...and you are off and running with the best decaffeinated coffee you'll ever taste. It seems a shame that most decaffeinated coffee is just plain bad, because it's really not necessary. Many high quality Arabicas are now being processed in ways that greatly preserve their wonderful characteristics. 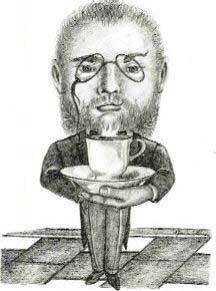 The process of decaffeinating has been well refined since the beginning of its practice in the early 1900's. This process begins with steaming the green coffee beans to begin freeing up the caffeine for removal. Then the beans are soaked in a solution of warm water and a, well, a.........O.K., it's a chemical! It's a solvent, O.K.? There, I said it. This chemical dissolves the caffeine. Then the water containing the caffeine and the solvent is removed and some fresh water is pumped in to replace what was lost. I guess it's no surprise that this method "troubles" some folks who have acquired a distaste for the use of chemicals, which, these days is practically everyone who is conscious. Methylene Chloride is the most commonly used solvent. Now, interestingly enough, it's not a direct health issue because the minute trace of MC (we're talking parts per million) that may actually stay in the coffee - vaporizes at 104 degrees. Roasting at 440 degrees and brewing at 200 degrees negates the possibility of consuming the chemical, and I'll also mention that the FDA and other independent laboratories have found 0% MC in all green coffees tested, and supposedly the environmental issue has been dealt with by better handling. The clincher in the market place is that this method, imperfect as it may be, still produces some of the best tasting decaffeinated coffee in the world. A solvent is employed in this method as well but the technique is changed. The beans are again soaked in water to leach off the caffeine. The water is then pumped off to another tank where a solvent that never really combines with the water, removes the caffeine. The solvent is "removed" and then the caffeine free water is pumped back on to the coffee to be re-absorbed. The problem with these methods is that all of the goodness comes out of the bean along with the caffeine. You can only hope that the flavor constituents are returned to the bean. Sure, it's decaffeinated coffee, but it's also de-flavored. When you taste this washed out coffee, you sadly know the truth. This is a well-known chemical free method of decaffeinating that still employs soaking the goodness out of the bean, then channeling the water off, pumping it through charcoal filters to remove the caffeine, and once again returning it to the coffee beans for re-absorption. We've had some O.K. Swiss Water varietals over the years, however they still taste washed out compared to their caffeinated counterparts. In addition, Swiss Water Process coffee is much more expensive because the caffeine is destroyed in the process and cannot be resold to pharmaceutical companies. So, despite some pretty fancy marketing, touting Swiss Water Process coffees as being not only healthy but delicious, it's the ONLY decaf I've ever had returned for a refund, so we no longer carry them. This is the most promising method to date. The beans are exposed to a highly compressed form of carbon dioxide that combines with the caffeine inside the bean. Thus, no soaking is necessary. The caffeine is then removed from the carbon dioxide through charcoal filtering. The beauty of this method is that the bean and all of it's wonderful oils are left intact in a solvent-free environment and it shows "in the cup". This method along with the MC method described above, are "the critic's choices" for high-quality Specialty Coffee Houses and Roasters across the country, and as always our first choice is to supply the very best tasting decafs available anywhere! Note: Subject to availability: CO2s are in high demand and still rather short supply. They are also very expensive so for a while now, we've had to consistently defer to the MC processed decafs which are thought by experts to be both healthy and among the very best in flavor. I am doing some more research on this and we will be cupping different decafs and processes and updating regularly. Thank you. NOTE: We have discovered an amazing C02 Decaf Colombian (described below) and we love it so much that we've permanently added it to our menu. Lakota's unique House Blend is a light, lively combination, using our best selling Decaf Sumatra and our C02 Decaf Colombian. It's a 99.9% caffeine free coffee that still offers a mouthful of flavor and all day drinkability. Our best selling Decaf Sumatra is everything you would expect from a smooth, "Heavenly Bodied" Sumatra, but 99.9% caffeine free. YES! We found one that we love that's reasonably priced and we're sticking with it. We have a good number of bags of this remarkable Decaf in our position with our Importer. Honestly folks, this coffee tastes so good, you can virtually forget that it's 99.9% caffeine free. Ethiopian coffees are among the world's most unusual, offering a range of flavors from winey to earthy to fruity. This extraordinary decaf is soft and fruity in the cup. It's also an excellent choice for iced coffee. Add this to your cupboard and enjoy the amazing C02 Decaf quality, with all of the characteristics of your favorite deep, smoky French Roast. A smooth, intense coffee. This amazing Espresso Blend combines our best selling Decaf Sumatra with an equal helping of our wonderful new C02 Decaf Colombian. It's chock full of flavor without the caffeine. Enjoy! You will be absolutely amazed at the aroma, flavor and body of this superb fresh roasted decaffeinated coffee that's so good you may not even be able to tell it's 99.9% caffeine free! No, it's just that we know what we have. 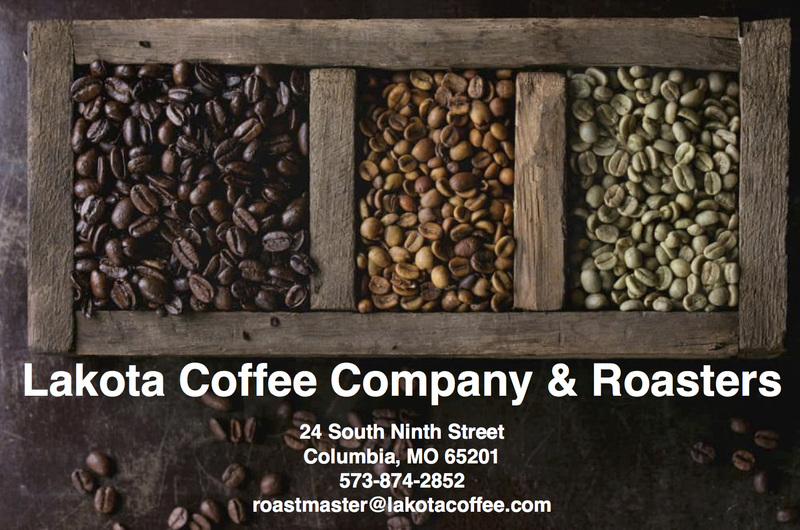 Lakota Coffee Company’s fresh roasted selections are in keeping with all of the exacting standards discussed in this site and we would like to share our experience of "Coffee Nirvana" with you. With that in mind, we are willing to take all the risk and in turn, you get a selection of coffee that is second to none and a legitimate shot at "The Perfect Cup." Just click below on Lakota Home to order. LAKOTA HOME: Don't trust us, try us. We take all the risk. Order your best of the best fresh roasted decaf now. 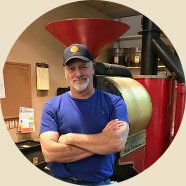 Click here for Specialty Coffee Advisor Home Page.